Partially in recognition of this achievement, Berners-Lee was interviewed by The Economist in a recent podcast, where he was presented with a question from a member of the Keynes family, The Economist economics correspondent Soumaya Keynes. 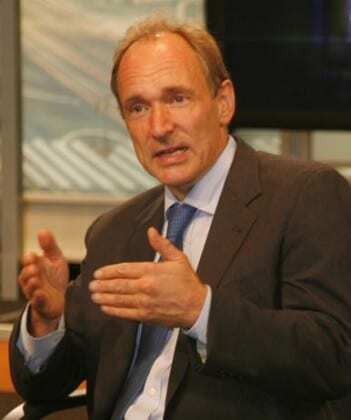 While acknowledging the that issue is complicated, Berners-Lee was clearly sympathetic to the idea — emphasizing the relative simplicity and efficiency of basic income (which he described as a “smooth system”), and expressing agreement that a basic income could help to reduce technologically-driven inequality. Tom Standage (interviewer). “The Economist asks: Can the open web survive?” The Economist. May 27, 2016. I believe he was referring to the desired smoothness of an error or appraisal function, He wanted the function of paid effort to benefits to be continuous, and the first derivative to be continuous as in https://en.wikipedia.org/wiki/Smoothness not so much for efficiency as for sanity.